20 Reasons and Counting Why I Love Calgary! Also known as “The Heart of the New West”, Calgary is located in Alberta, Canada at the foothills of the Rocky Mountains and at the junction of the Bow and Elbow Rivers. Because of our location we get nice warm Chinook winds during the winters and we always have a lot of sun, in fact we get more days of sunshine per year then any other Canadian city. Calgary is amazing for so many reasons, over 20 of which are detailed below but this is by no means an exhaustive list. 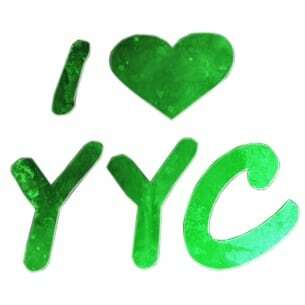 I encourage you to leave a comment with some of the reasons you love Calgary! Not Only do I love my city, I love this province and my country too! We are lucky to be Calgarians, Albertans and Canadians! 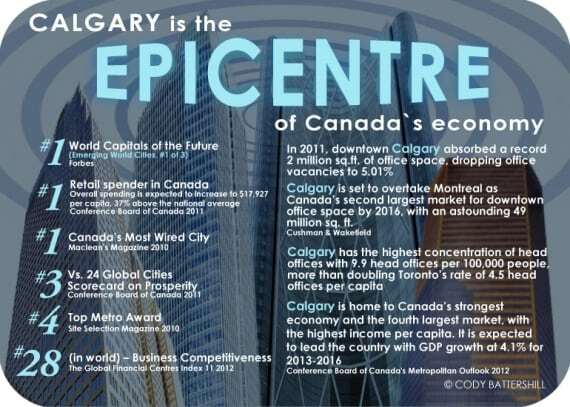 Calgary is Canada’s number one economic performer and is home to a diverse array of industries, including the energy, finance, manufacturing, transportation, technology, film and creative industry sectors. Calgary has no provincial sales tax and a very competitive income tax structure, allowing locals to save on every purchase. Calgary was ranked as the best place to work in Canada by the Globe and Mail. 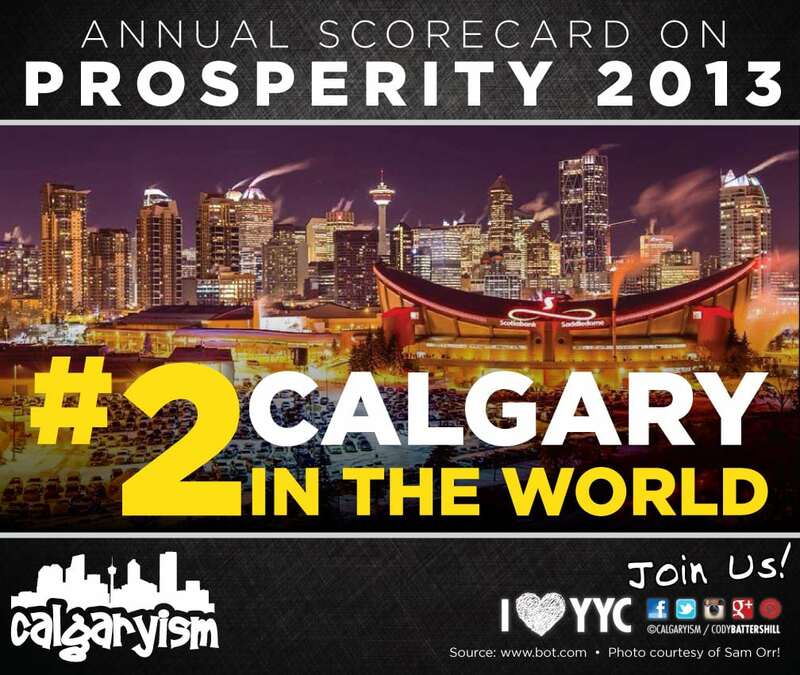 The Toronto Board of Trade also named Calgary the 3rd most prosperous city of 24 cities in its most recent prosperity index. 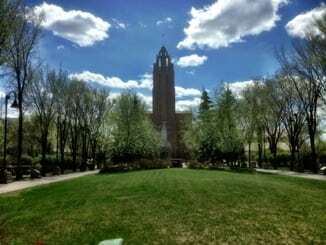 Today’s Parent magazine ranked the city among the top five best cities for families and the Economist ranked Calgary as the 5th best city to live in the world in its most recent livability survey. The Rocky Mountains and Banff National Park are just a stones throw away (ok, maybe not a stone throw, but depending on where you are in the city the longest it could take is about 90 minutes). Calgary is one of only three places in the world that claim to be rat-free along with the Arctic and Antarctic. 500 or so parks and reserves provide rewarding wildlife viewing opportunities and invigorating hiking and biking trails. Anybody can walk into any doctor or hospital 24 hours a day 365 days a year and receive no fee treatment within an hour (or two). Youngest population in Canada with 41% between the ages of 20-44 and the average age of only 36. Highest personal income levels per capita and more millionaires per capita than anywhere else in Canada. Second highest concentration of head offices in Canada and highest concentration of head offices per capita! Largest plus 15 network in North America, giving the downtown core a convenient way to get around especially during the cold winter. 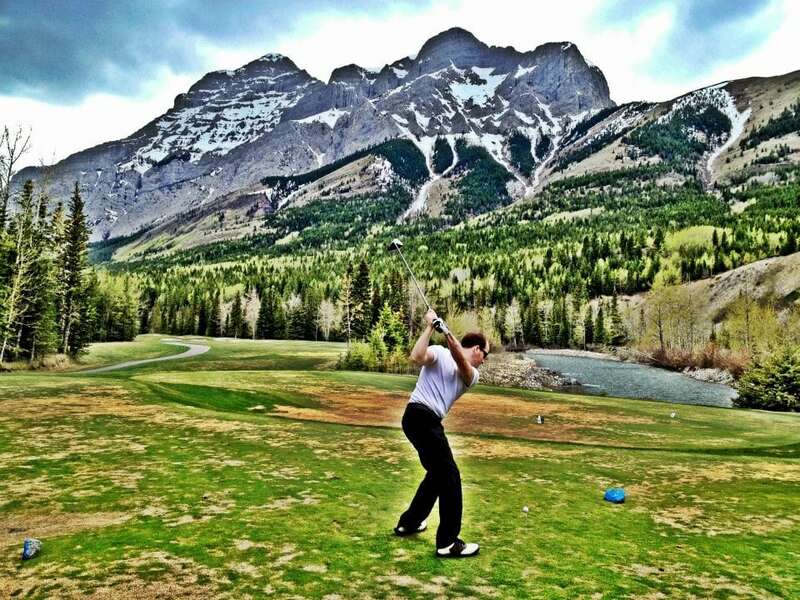 If you like golfing, you will be happy to know that Alberta touts more golf courses than any other province. Alberta also boasts more than 600 lakes for water-sport lovers. Check out Sikome Lake in Fish Creek Provincial Park this summer! Largest pathway system in North America with 700 plus kilometres km of pathways. Canada has the worlds third largest oil reserves and 97% of that is in Alberta. Additionally Canada is the worlds only major oil reserve holder whose resource revenues fund a flourishing democracy, freedom and the liberty we enjoy. 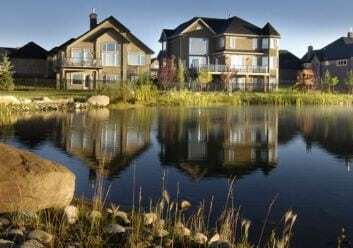 Calgary has the highest percentage of home ownership in the country – could it be because of income levels and economic prosperity? Canada has the highest quality of life in the world after Denmark, although we have way more land and way more resources! Canada has the world’s highest tertiary education enrollment. Canada contains 9% of the world’s renewable water supply. 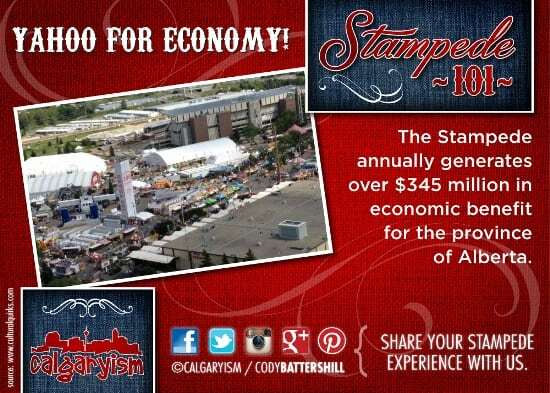 Home to The Greatest Outdoor Show on Earth, the Calgary Stampede! Calgary boasts one of the highest volunteer participation rates in Canada. See more on Calgary and its Volunteers today. 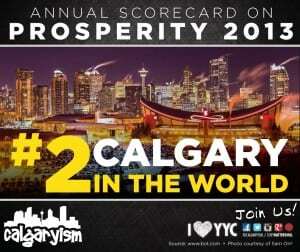 Calgary is one of the safest and healthiest big cities in Canada and the world and is also the cleanest city on Earth! Our city is surrounded by an incredible agricultural ecosystem that produces some of the best products (beef, wheat, barley, etc.) and cultures from around the world, giving us an incredibly diverse dining experience. 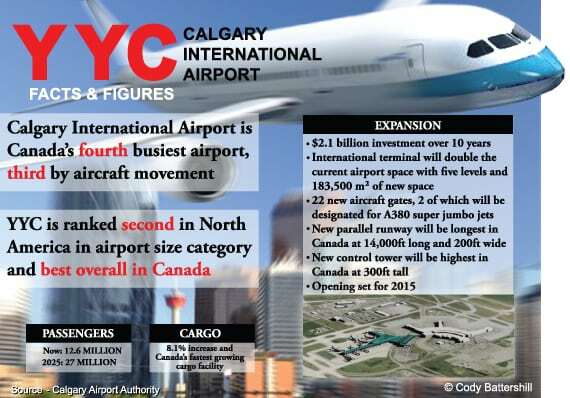 YYC, Calgary’s airport is currently building the longest runway in Canada and the tallest control tower in the country. As one of Canada’s busiest airports this will only add to the east of travel, cargo and business to and from anywhere in the world! Calgary has one of the most respected Police Services in North America, with citizen satisfaction ratings in the mid 90% range! Calgary has a strong community bond which was clearly demonstrated during the flash floods in late June 2013. What Do You Love About Calgary? 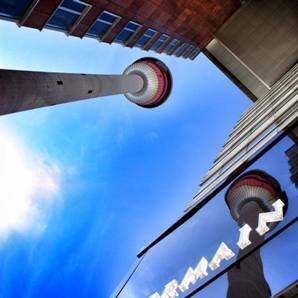 Leave us a comment and share with us why you love Calgary, Alberta and we will add it to the list! 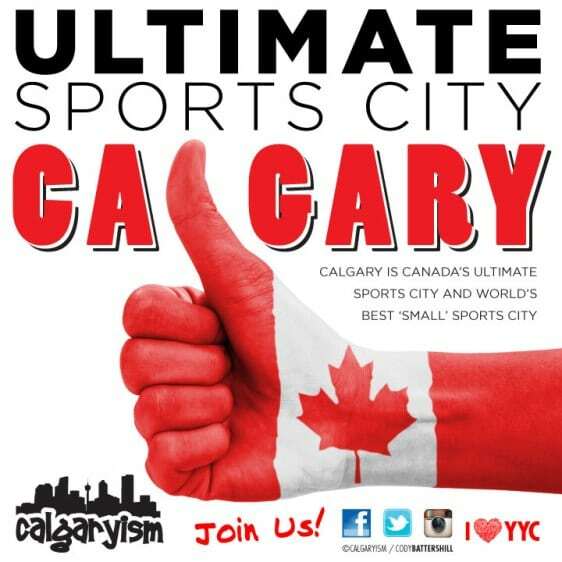 Until next time, be sure to check out the best of the best in Calgary today! Ahhh that sounds sooo nice. I’m from Vancouver and the “politically correct” mind-set out here can be a real drag to live with. I’m in my late 20’s and EVERYONE I know in my age group is struggling financially. My dad grew up in Calgary and he said that when he was in his 20’s him and his friends could just go out to the bar and have a good time without worrying too much. I feel like if I went out and did that a few times a month I would have spent more than a quarter of my monthly earnings. ha ha I agree Spon and let’s not forget the virtually perpetual wind and dust and dirt flying around! There may be lots of chinooks in winter but forget about summer here. I hate BC. I LOVE CALGARY. IT IS THE BEST DEAL WITH IT. I agree with all of them… except no rats! I live in BC now and have 3 adorable pet rats. I never knew rats could be pets! what part of bc do you live in? do you miss Calgary at all? We can start out every year honestly believing that THIS will be the year our city’s hockey team will win the Stanley Cup! Great article, there is no place on earth I would rather call home or raise my family. The community and spirit of this city are unmatched. Great articular I live now in High River I was born and raised in Calgary I still consider myself a Calgarian living in a bedroom community. EVERYTHING! We have a rich and beautiful city that is incredibly diverse, and the mountains are visible and reachable every day! Oh, and the air is so sweet! You forgot the biggest reason. The friendliness of the people living here. I’ve travelled all over the world and Calgary is easily one of the friendliest and hospitable cities around. 26. Calgarians are nice and warm-hearted. I just love Calgary and Calgarians. It is lucky to live here. 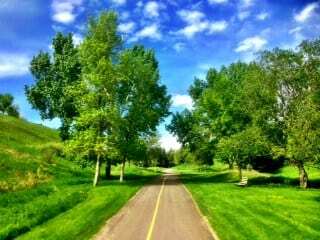 Fish Creek Park is the largest inner-city park in North America AND Nose Hill Park is supposedly on a “lay line” of which there are only 8 in the world. They run North to South and Stonehenge is on one of them! You have 2 awesome rivers going right in the middle of Downtown and you can always just walk to the park almost in every corner. Calgary is one of the best cities in the world. Period!!! 100%, Calgary is one of the best! I’m from Chicago IL and I’m reading on this website for a report, I’ve never had any big impressions on Canada but reading this really makes me want move there!! It seems great! We do not receive ‘immediate’ medical treatment 24/7 – we have access to waiting rooms, with minimum 5 hour wait times. Thank you for your comment Bea, I guess in my opinion regardless of how busy the hospital might be and if we have to wait for me the key is that we can get in and can get world class medical care without having to worry about how much it could cost or if we have coverage. Hey Jaclyn, thank you for your comment! Great minds think alike! As for Saskatoon, do you mean in terms of when the city was founded or population wise? I also love Sask! Does anyone now any teachers out there. My son is moving to Calgary in August to start teaching with Calgary Board of Education. He is looking for some advice. I am thinking of moving to Calgary from Edmonton. Every time I come to Calgary it is like a breath of fresh air, to be honest I think Calgary is a much better city than Edmonton. I am going to be renting; can you let me know where the best areas are to rent an apartment. Thank you. Hi Ann, thank you for your comment. There are many wonderful areas of Calgary to live in. Please feel free to call me anytime and I would be happy to discuss with you further! Great info Cody, but I find it hard to believe there are 600 lakes around here, maybe up north. We have world class fly fishing in the Bow River. World class equestrian facility in Spruce Meadows. I am born and raised and love the list except for 21, I dont think the needless killing of animals should be an attraction to an otherwise beautiful and wonderful city! Grammar Nazi point- #11 does not require an apostrophe. Calgary has one of the highest regarded and respected police services in North America, with Citizen Satisfaction ratings usually in the mid-90% range! 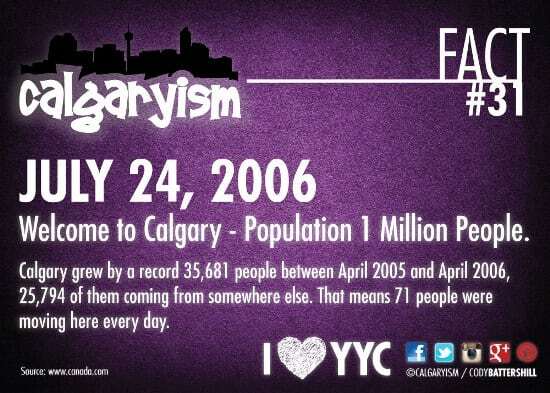 I was born in Calgary in 1950 and saw it in its formative years. :My dad came to Calgary in 1911 and helped build the Centre Street Bridge, Palliser Hotel and the Bay, all with a team of horses he owned. He even saw the first Stampede. I have lived in other cities but always come back to Calgary. Calgary is by far the best place to live!! Ca Thank you for such a nice information. I really enjoyed the jlouney, If Calgary is like you say, I defenitly will move to live there. Can you recomend me which part of Calgary is good to rent and appartment not to spencif but at the same time nice and closed to Farmers . My son is considering studying in Calgary at the University of Calgary. I know little about the accreditation or ranking of this university and would like some review on whether it is highly recommended. Indeed, I really love my city. And there is so much to share here, I especially love our culinary culture. New restaurants and food trucks just BOOMING here. the best place to live.. i wll go back where i belong. We have chinooks that bring warmth to some of the coldest days! Calgary has the most amazing people. Friendly, always there to help anyone who needs help. I have never been more proud of being a Calgarian than during the June floods. Thousands of volunteers stepped up to help get the city moving again. Love the article; it brings back many memories growing up and going to high school there. I just got tired of shoveling snow LOL. And now I’m a short drive to the beach. To me it was not only the atmosphere (big city, fantastic scenery, breathtaking mountains, clean streets, robust economy) … but the quality of people in Calgary. That’s what sets it apart from the rest. To every person down here in the USA that has ever visited Calgary … that’s the one comment I hear consistently – they love the city, and how they were treated by the people everywhere they went. Calgary represent! I’ve planned to land in Calgary in next May with my lovely wife. We are new immigrants from Iran and we have travelled many European countries but never we have been in North America. We studied about all cities and we surfed a lot in Internet. 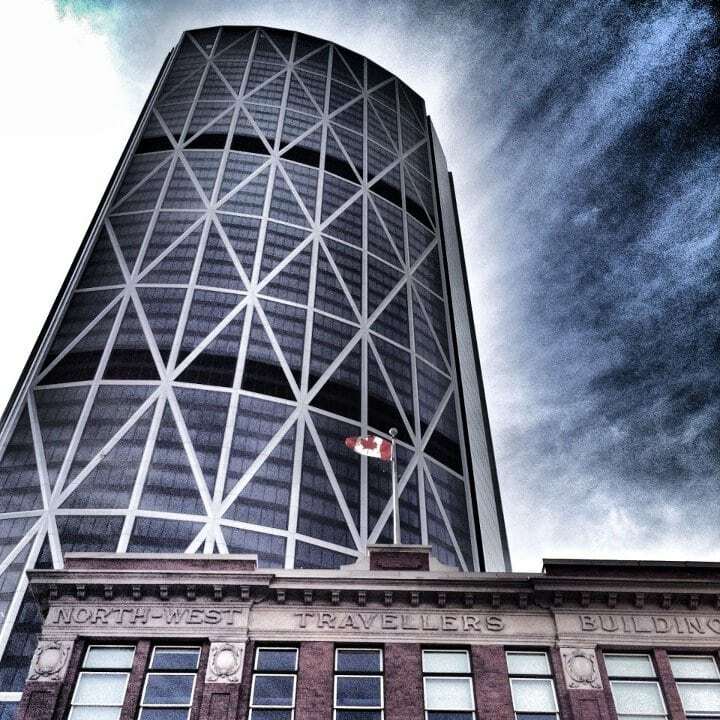 We found that Calgary can be our desired living land for raising family and business. We are so glad to be new Calgarian. This article was written before the floods which, as a native Calgarian, made me even more proud of the incredible people in this wonderful city. I have lived here for over 50 years and have seen Calgary grow up into an amazing metropolitan city with small town values and feel. I love you Calgary! My husband and I are now “empty nesters”. He’s been offered a contract to work in Calgary for two (2) years and I will join him. My excitement gets overtaken by anxiety when I think about relocating from sunny Australia to the freezing temperatures of Calgary. However, I’m up for the adventure and just wondered if there were any other Aussies out there who can share their stories, please? My husband and I just relocated here in the fall from Ontario. I can’t believe the difference. The air is fresh, even the clouds look different. Must be the lack of smog. Jobs are plentiful, to do the same job I did before moving (my husband was transferred) my work is better staffed and I make almost $5 per hour more than I made in Ontario after 10 years seniority. The people are friendly and the opportunity to see nature and wildlife is always available . Even the winter was much more bearable than I anticipated . The lack of humidity makes the negative temperatures comparable to the single digits on the plus side at home -and the Chinooks!!!!! I’m so thankful we came, and would encourage others who are considering moving to take the leap. You’ll be glad you did. I have lived all over Canada. I miss Calgary. Ne and my Husband has been thinking about moving to Calgary for a while now but with people talking about the winter being so bad , just makes things feel so negative. I currently live in Ontario , just recently had my son. its hard looking for jobs in Ontario for i am a social service worker and still no luck. so me and my husband been thinking about selling our home and moving to Calgary . what i have research online so far sounds amazing. Cody could you help me please and tell me some information. . Actually I’m working as control room operator in total gas and patrol in middle east . Cct abd tracking system abd radio so would I got chance in cargaly to work .. I’m family husband and wife with two kids …..
Hey im doing something for school project and if you could, would you just give me some information about calgarly’s weather. Absolutely! Calgary is great place to live. I am interested in moving to Calgary from Arizona. I have a Bachelor’s degree in Social Work and want to know how to move to Calgary for a job in my field to then eventually become a Canadian citizen. Cody was extremely professional and proficient. He found us a wonderful home in Calgary with a quick possession date. We have already recommended Cody to friends!